After taking a little hiatus, we’re back with some fresh music from an act making their Durkle Disco debut – London based production duo Jack and Charlie aka Arkane Soul. 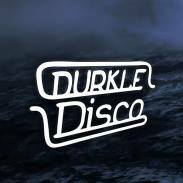 Having steadily built up support over the past 2 years from the likes of Plastician, Butterz, Madam X, Starkey, Spooky, Silkie & Shiftee with a series of energetic dubs that sit comfortably somewhere in the musical space between garage and grime, this EP sees them on a more nostalgic tip, as they pay tribute to the Bristol-led purple sound of Joker, Guido and Gemmy which first turned the pair onto electronic music in 2009, giving it their own current twist in the process. All three tracks on this EP twin jazz-influenced melodic intros with hard rolling basslines, sure to excite fans of both grime and dubstep. 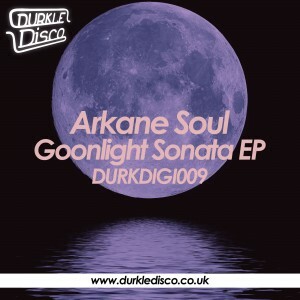 Well received, and with play on BBC Radio 1Xtra, Rinse & Deja Vu, ‘Goonlight Sonata’ is an assured debut which should cement Arkane Soul’s place in the scene for 2014 and beyond.